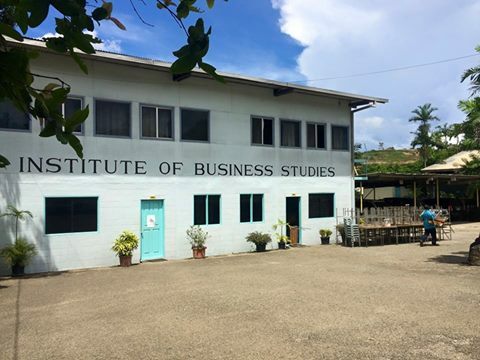 The Institute of Business Studies (IBS) is now a University as it has gained approval by the Papua New Guinea Government on the 1st of December 2016. It is timely that IBS received this University status when it is introducing its own Bachelor Degree Programmes for the first time this year. “We have found the inner core of our vision, to enrich lives through world class education, training and research. And to enrich lives, our focus has shifted from ‘teacher centered learning’ to ‘student centered learning’ in 2016. Indeed this transformation will guide us towards becoming an innovative university in the South Pacific,” Sir Nades said. Among its list of achievements for the last 18 years, IBS has been running the Southern Cross Degree Program; UPNGs Diploma in Accounting Program and Deakin University’s MBA Program. “The Office of Higher Education has offered over 400 scholarships-100 each for the four degree programs and the governments degree program is below K5, 000 whereas the Southern Cross degree program is over K24, 000 and K14, 400 for IBS self sponsored students,” Sir Nades added.